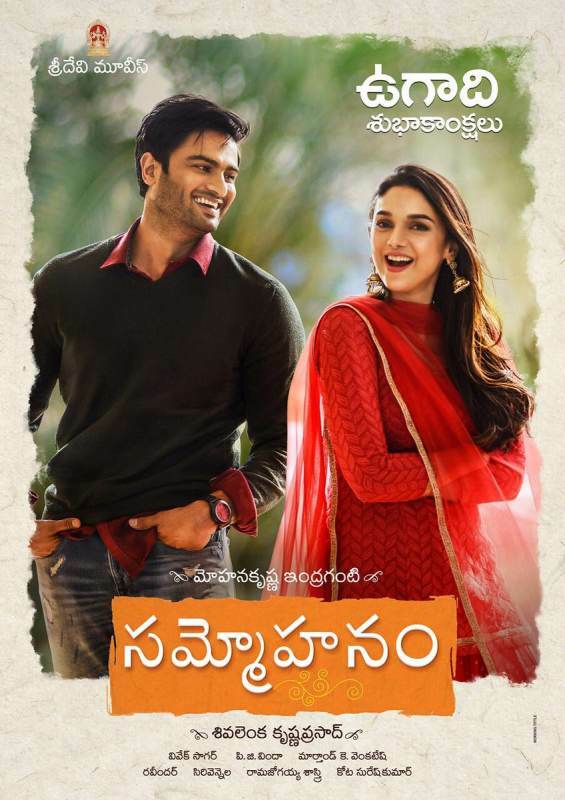 Sammohanam is kind of like Notting Hill (acknowledged by writer/director Mohan Krishna Indraganti), only with a few Telugu film staples and bonus rowdies. I liked it enormously, almost against my better judgement especially when it goes a bit awry in the second half. 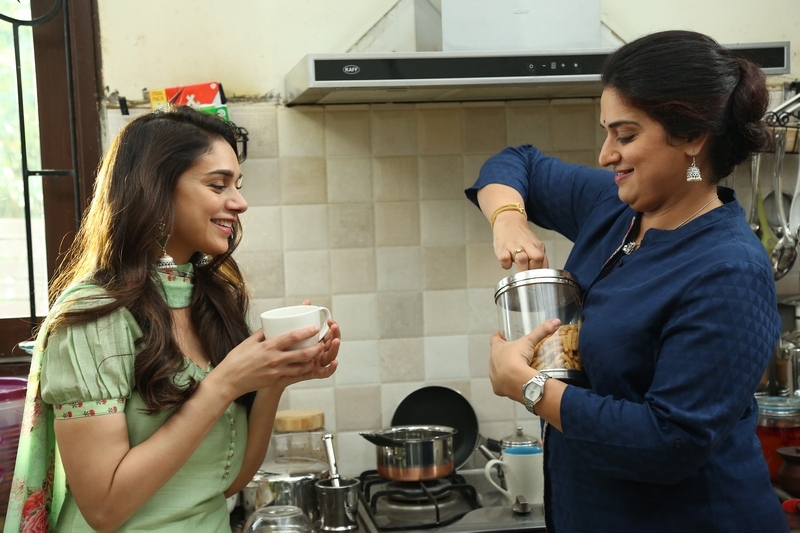 Film buff Sarvesh (Naresh) and wife Anasuya (Pavithra Lokesh) keep a beautiful and welcoming home, and she keeps the entire neighbourhood in snacks and sweets. 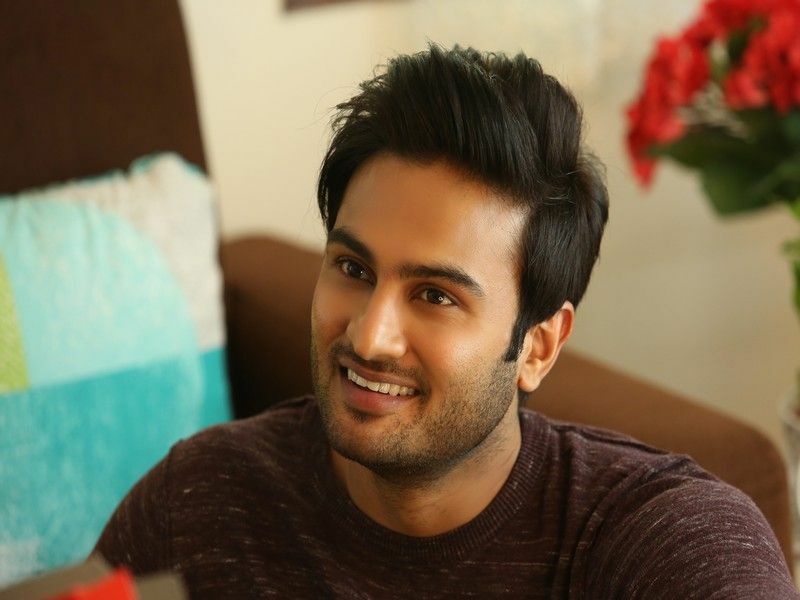 Daughter Divya (Harini) is studying, and son Vijay (Sudheer Babu) is determined to be a picture book author. 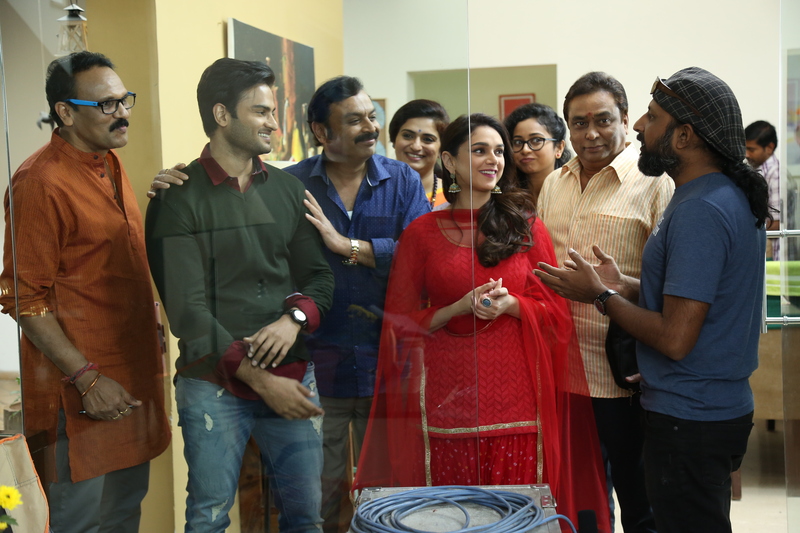 When Sarva is approached to let a film crew use his house, he agrees immediately on just one condition. They have to give him a role. Vijay is disgusted at the idea. He is an intellectual snob who believes while books can transform a mind movies are cheap and do damage. 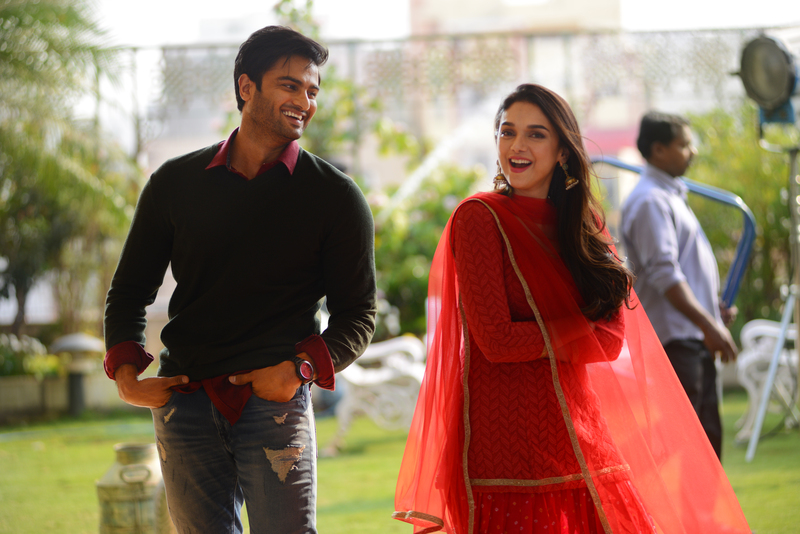 Divya is all for it because the It Girl of the day, Sameera Rathod (Aditi Rao Hydari), is the heroine. Sarva will brook no arguments, and the shoot commences. Sameera overhears Vijay and family mocking her bad Telugu and asks him to coach her. He reluctantly accepts and they develop a friendship that could be something more. After an uncomfortable start, everyone settles down and family and crew fall into a new routine. But they can’t all stay in this happy little bubble forever. What will happen when Sameera leaves? Will Vijay stop pouting? And will Sarva get his big acting break? The answer in short is that people have their hearts broken, and some are mended. Sarva gets all ready for the movie premier only to find he was left on the editing room floor. He is devastated but his love for film cannot be killed. When Vijay was depressed over Sameera, his mum told him that rejection wasn’t the end of the world and that just because someone doesn’t return your feelings, that doesn’t mean you’re not worthy of love or that nobody else will love you. Don’t take it out on them, try and be there for them as it’s a hard time for both of you. It was done with warmth and a little bit of humour that made her advice relatable. 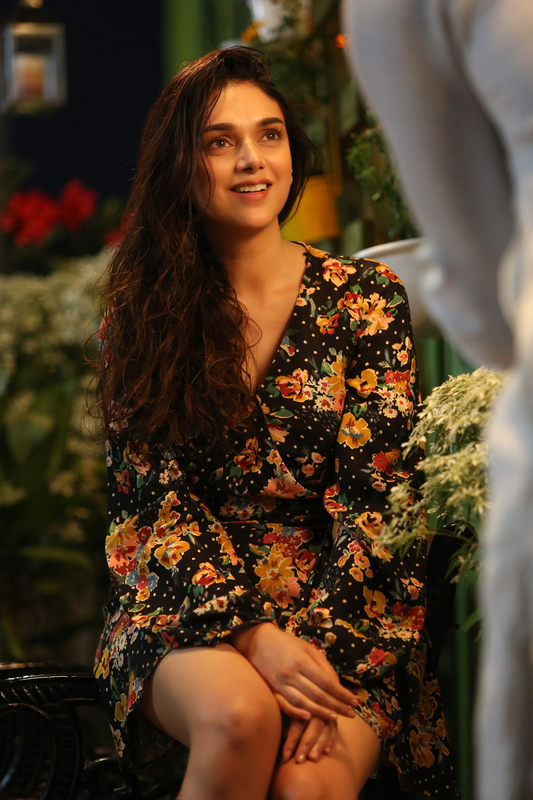 Aditi Rao Hydari delivered a good performance, although sometimes she was left with nothing to do but make doe eyes. Sameera’s character was well developed with respect to her work as an actress. She made it clear that while some producers (and co-stars) expected her to be little more than a prostitute, she was proud of her skills and training and wouldn’t sell herself out. There were many small moments and reactions where you could see Sameera subtly navigating the constant intrusion by Kishore the star kid. I liked when the family and loser mates started treating her more like a person, not a star, even when she was wearing one of her micro-skirts. She blossomed in their house, with people around who seemed genuinely to care for her, not for her status. But when her Dark Secret threw a spanner in the works, Mohan Krishan Indraganti reverted to film cliches. Sameera was being abused and gaslighted by an old friend and refused to tell anyone except her friend and assistant Ramya (Hari Teja). This led to lots of scenes with Aditi just staring at Vijay as he worked himself into a welter of negative emotions. She is made responsible for her own misery because apparently all she had to do was tell Vijay – easier said than done. Also why does a man have to physically threaten another man before a woman can consider herself safe? It felt a bit cobbled together to please the intended audience, and to allow the hero to take over. 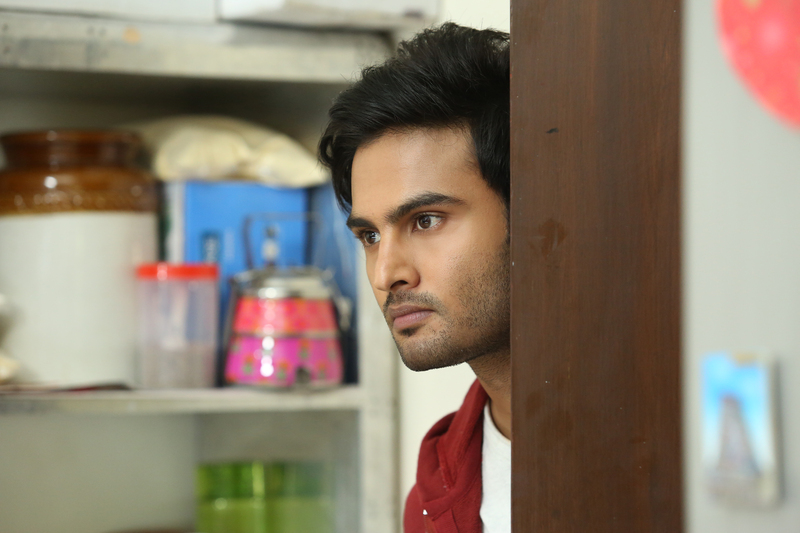 Sudheer Babu is competent but bland. In part that is due to the writing as Vijay is introverted, but subtle emoting doesn’t seem to be in Sudheer’s wheelhouse. 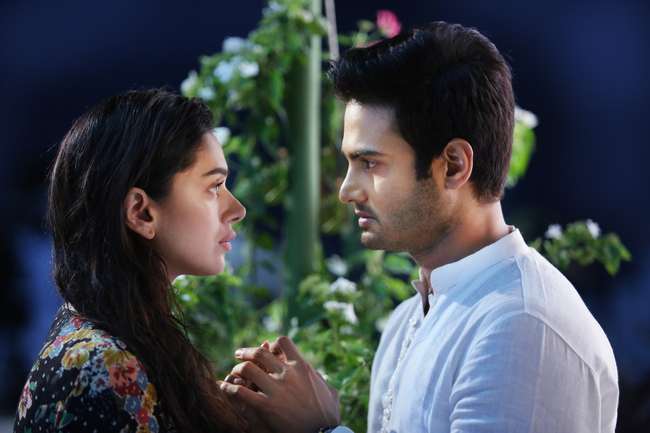 I felt that the scenes that worked best between Sameera and Vijay were because of Aditi’s energy which he could reciprocate or bounce off and they flowed nicely. But when the characters were at odds she seemed effortlessly in the moment and he was Acting. Of course he is the hero so getting the girl of his choice is a foregone conclusion, but there was a little emotional growth on the way that was a good sign. Vijay’s scenes with his dad are also nicely done and that brings me to the real star of the film. Naresh. His performance as Sarva is beautiful. He is everything that comedy uncles try, and fail, to be. Whether he was crying at an old film, flirting with his wife (how shocking!) or throwing a tantrum over being denied his chance at stardom, I loved every moment. Even in the incredibly daft scene where he helps Vijay and the boys deal with Sameera’s problematic associate, he was hilarious. Naresh plays Sarva as a heart on sleeve kind of guy, and some of his scenes were unexpectedly touching. His rapport with Anasuya (Pavithra Lokesh) is really nice, and I enjoyed her performance too. They have a couple of scenes talking about the kids where you can believe they respect each other and rely on each other’s judgement. Unless it’s about films. Harini is lively and natural, and I enjoyed her expressions as she swanned through the chaos of the shoot. She’s a capable and competent girl who seems able to sort the wheat from the chaff. When Vijay starts barking orders at Divya, Divya shouts back for him to stop moral policing her, she’s not an idiot. Their parents respect both kids’ positions and negotiate with each of them accordingly. There is no sense that Divya’s opinion is less valid than Vijay’s. Of course Vijay has to have some friends with no purpose in life but to follow him around and be shorter and less atttractive. Murthy (Rahul Ramakrishna) is sleazy and dumb, and Seenu (Abhay Bethiganti) seems a little nicer and a bit more dim. Hari Teja has little to do as Ramya until one loooong piece of exposition. The always reliable Tanikella Bharani plays a small but significant role, and there are some cameos to spot. The look and feel of the film is very appealing. But the story wasn’t as strong in the second half when it switched from character driven to plot driven action. The subtitles by rekhs and crew were a delight. They were idiomatic and clear, and the jokes translated well. When Sarva watches a character actor shouting his lines, he observes “He speaks Tegulu not Telugu”. I snorted as I suspect I may be picking up Tegulu from movies too. And there is a series of digs at heroes who get their break because of family connections. The soundtrack is almost completely forgettable, but emo balladeering is my least favourite genre so I probably just blotted it out. The second half doesn’t live up to the very engaging start. But it’s still a refreshing and well considered film in many aspects, with a couple of great performances. Come for the romance, stay for the parents! 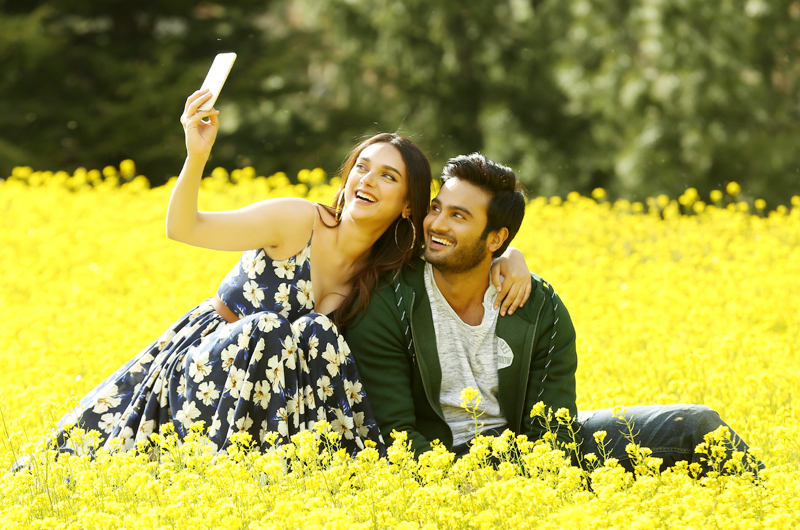 This entry was posted in Tollywood and tagged Aditi Rao Hydari, Harini, Mohan Krishna Indraganti, Naresh, Pavithra Lokesh, Sudheer Babu, Tanikella Bharani, Telugu. Bookmark the permalink.